The Begonia Dragon Wing Red, ‘Begonia x hybrida’, is a beautiful shade plant growing up to 15 inches tall with a a spread of up to 18 inches. 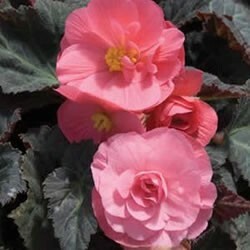 Dragon Wing Pink Begonias perform very well in the landscape with excellent heat tolerance and garden performance. 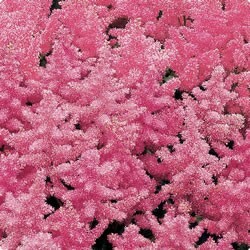 Dragon Wing Pink is part of a new series that is very heat tolerant and has wing-like, glossy green leaves. 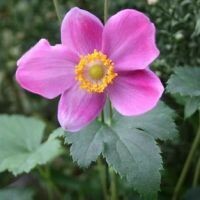 It’s an excellent companion with other annuals in containers and hanging baskets. The Dragon Wing works great in full sun but the look in partial shade is absolutely awesome. 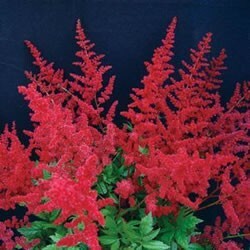 These plants bloom almost constantly and have angel-wing shaped, dark green leaves that are spectacularly glossy with huge panicles of red flowers hanging down. 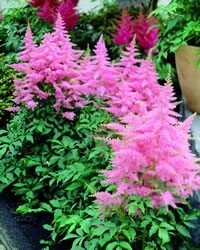 This plant is ideal for hanging baskets on the front porch or in large containers. Begonia Dragon Wings prefer planting beds that are well drained and organic-rich. The Begonia Nonstop Mocca Yellow, Begonia x tuberhybrida Begonia NonstopÃ‚Â® Mocca Yellow, adds a sizzle of color to that part shade to shade location in your garden. The large, full, double yellow flowers of NonstopÃ‚Â® Mocca Yellow makes a real statement in your patio planters all summer long. Mocca Nonstop Yellow brings a whole new dimension of beauty and performance to the family: chocolate-bronze foliage, lush and full, that lasts from spring till frost, plus improved heat tolerance! The large, full, yellow colored flowers of NonstopÃ‚Â® Mocca Yellow has foliage that makes the perfect backdrop for the flowers as well as a lovely contrast to green leaved begonias or any other neighboring bedding plants. 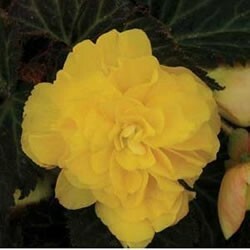 The Begonia Nonstop Mocca Yellow blooms hold for several weeks, adding magnificent over-the-top beauty to the home. Unlike many Begonias, it won’t flop or melt if seriously hot weather arrives early in your climate.If you pick them too early they may fail to open properly and if you pick them too late they may not last in your vase all that long.This plant can be a perennial in zones 9-11. In zones 3-8 it is an annual only. The Begonia Dragon Wing Pink, ‘Begonia x hybrida’, is a beautiful shade plant growing up to 15 inches tall with a a spread of up to 18 inches. 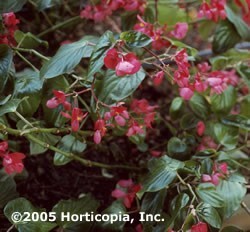 Dragon Wing Pink Begonias perform very well in the landscape with excellent heat tolerance and garden performance. 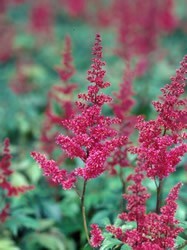 Dragon Wing Pink is part of a new series that is very heat tolerant and has wing-like, glossy green leaves. 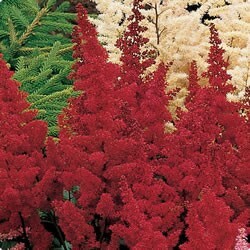 It’s an excellent companion with other annuals in containers and hanging baskets. The Dragon Wing works great in full sun but the look in partial shade is absolutely awesome. 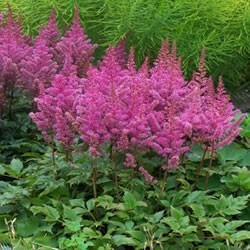 These plants bloom almost constantly and have angel-wing shaped, dark green leaves that are spectacularly glossy with huge panicles of pink flowers hanging down. 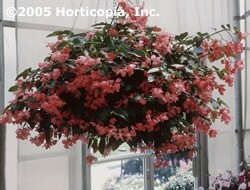 This plant is ideal for hanging baskets on the front porch or in large containers. Begonia Dragon Wings prefer planting beds that are well drained and organic-rich. The Begonia Nonstop Mocca Pink Shades, Begonia tuberhybrida Nonstop® Mocca Pink Shades, is the most trusted name in tuberous Begonias, and for good reason — these plants are very heavy-blooming and ultra-dependable season after season. 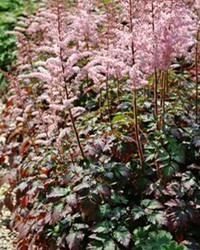 Mocca Pink Shades brings a whole new dimension of beauty and performance to the family: chocolate-bronze foliage, lush and full, that lasts from spring till frost, plus improved heat tolerance! The large, full, double pink colored flowers of Nonstop® Mocca Pink Shades make a real statement in your patio planters all summer long. The foliage makes the perfect backdrop for the flowers as well as a lovely contrast to green leaved begonias or any other neighboring bedding plants. 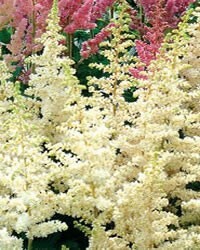 The blooms hold for several weeks, adding magnificent over-the-top beauty to the home. Unlike many Begonias, it won’t flop or melt if seriously hot weather arrives early in your climate. 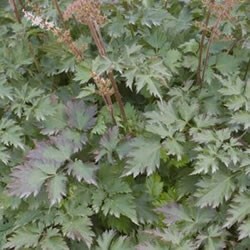 This plant can be a perennial in zones 9-11. In zones 3-8 it is an annual only.